My eldest daughter has always been a dancer. Until she finished school, it was ballet and jazz. Then she moved to the big smoke for University and had to reluctantly give it up. Two years ago, she sort of stumbled into the dance side of cheer-leading. A cheer gym near where she was living advertised an open day with free dance classes. So along she went, eager to stretch out those under used dance muscles and got asked to audition for an Open Pom team. Why not, she thought? She made it through the audition and onto the team. Being somewhat of a novice to the world of cheer she had no idea at the rarefied levels the team she had joined was playing in initially. In her first year, she found herself at State and Australian championships and at the end of year being part of a team that had won a bid to compete in the World Cheer and Dance Championships at Disney World in Florida in America in 2015. Australian All Star Cheer Championships 2014: She's the one on the left. Her University recognized her as an elite athlete. She currently juggling 4 or 5 days of training a week with hospital placements. (She's in her last year of Med school). She and her fellow Swifts are on the final countdown to #20swifteen - their giant World Championship adventure. But of course a team off to the other side of the world needs a mascot to take on their adventures.So I got one of those bizarre knitting challenges I thrive on from my daughter and her squad of fellow cheerleaders. 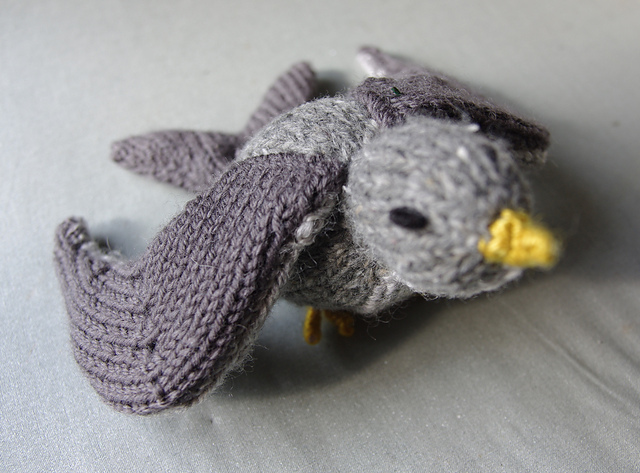 Could I make a slightly gangsta knitted swift mascot for her team? 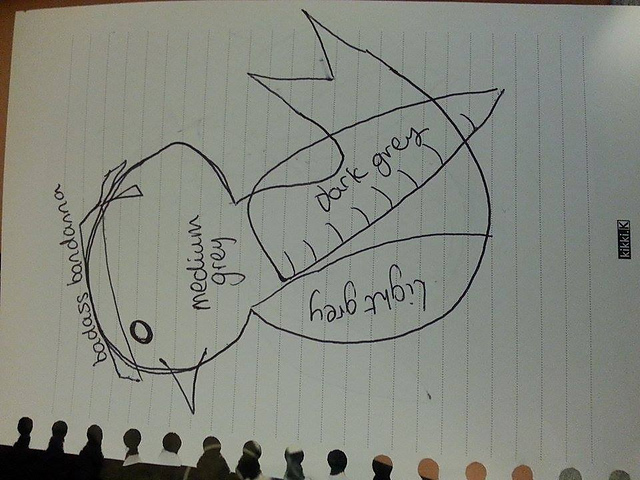 I got some guidance in the form of this lovely photograph of a sketch from my daughter. (She's incredibly talented at lots of things but she'd be the first to tell you drawing is not one of her strongest points). And here's what I came up with. 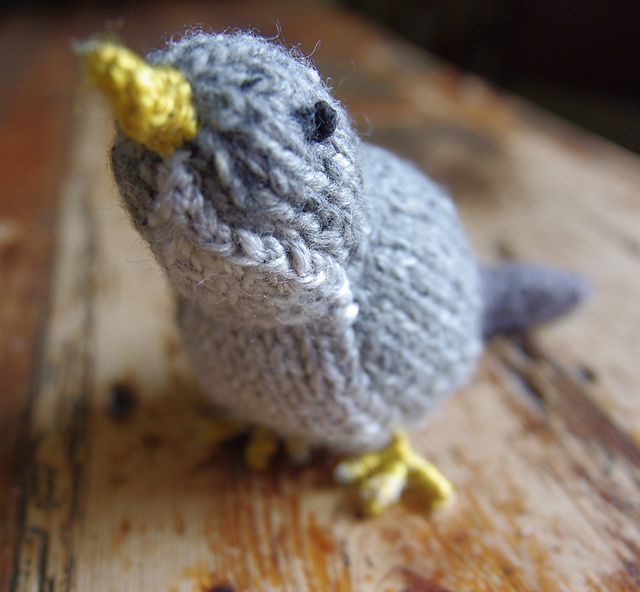 I've made little knitted birdies before. 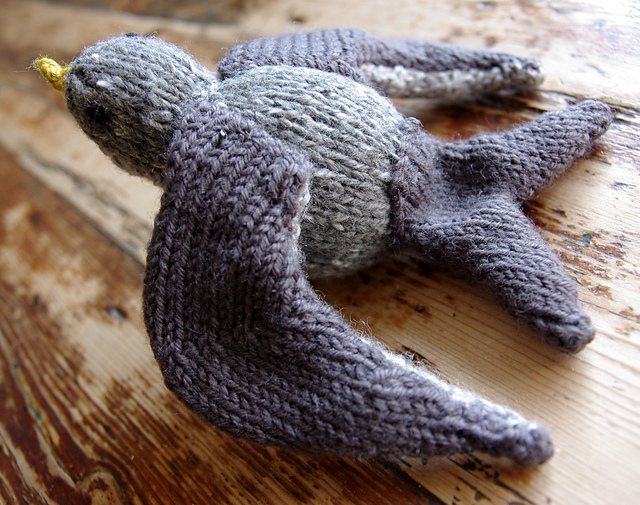 There's a little knitted parrot I made years ago kicking around my house that's just the right size to fit on a child's shoulder. It's played parrot to many an imaginary pirate. The knitted Harry Potter doll has it's own owl companion, Hedwig. I used the same basic body shape. You can see the swift's little birdy feet here. They're made from bent paperclips wrapped in yarn and secured with hot glue. The final finished swift is about 15 cm tall and 22 cm across from wing tip to wing tip. This was just the prototype. It's hard creating something to exactly fit the brief when all the conversations around what is wanted take place by phone, email, and Facebook chat. The swift is a little small. Now I'm scaling up to about 40cm tall with a slightly less outspread wing arrangement. It will also be wearing baby size high-tops and a peaked cap and dog-tags... This little swift has gone off to live with my daughter in the meantime. So "Go Swifts!" (You need to imagine this said in a cheer type way - complete with pom pom waving and a kick line). That little guy is so cute! Any hope for a future pattern? I usually make my own over at Brightly Burst. But bird bodies just seem so hard to get just right! Thanks for the encouragement. You're another voice adding to the chorus asking for patterns. 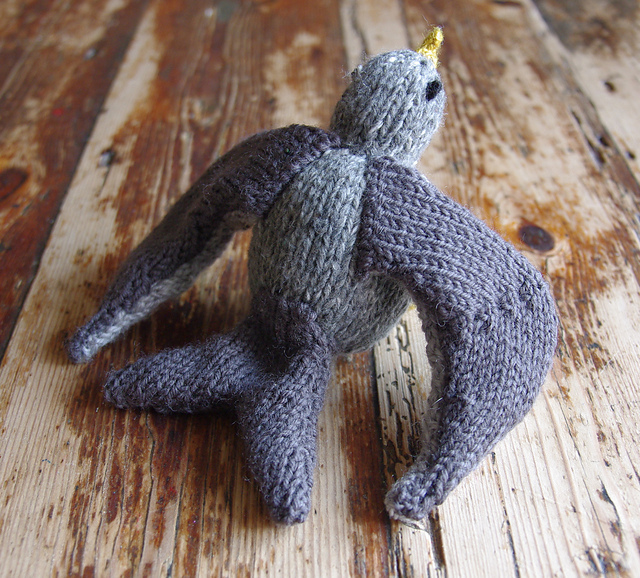 I have in mind a 'build your own bird' sort of pattern but it'll take till later this year for the protoyping and testing. I love little birdies too.